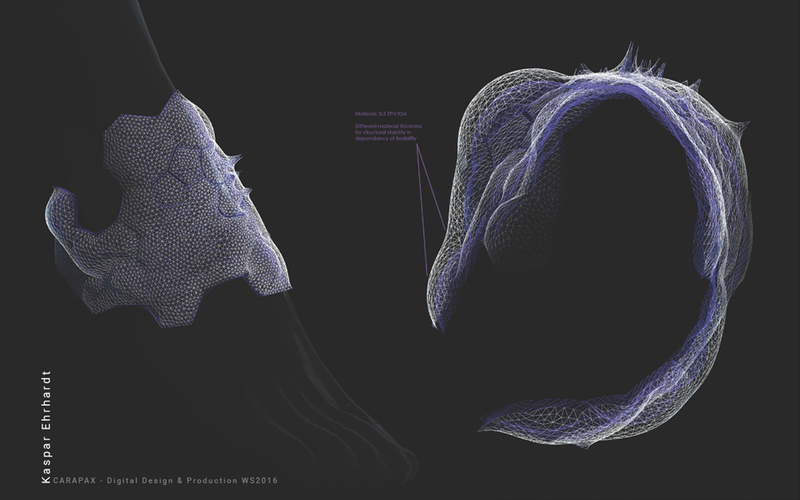 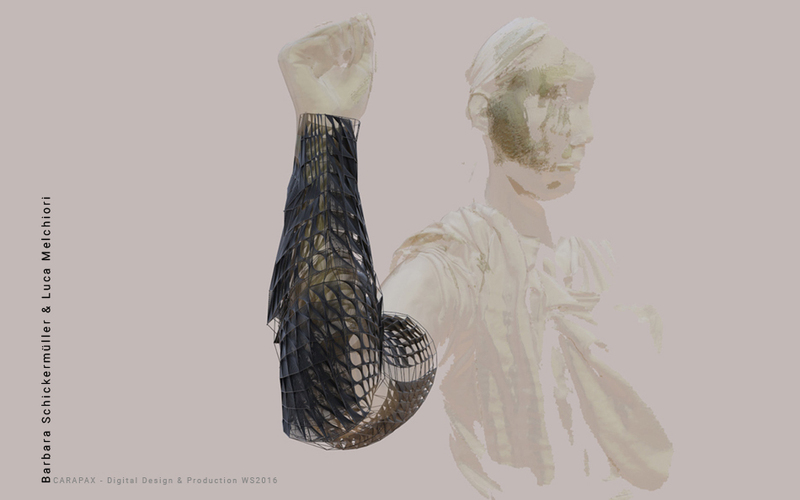 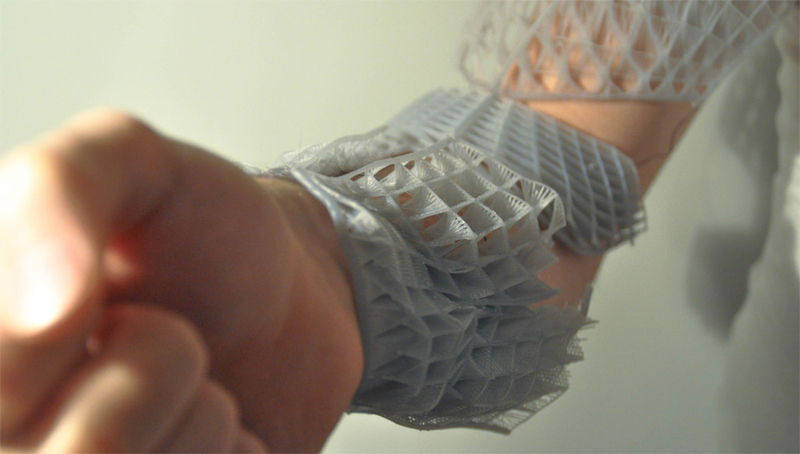 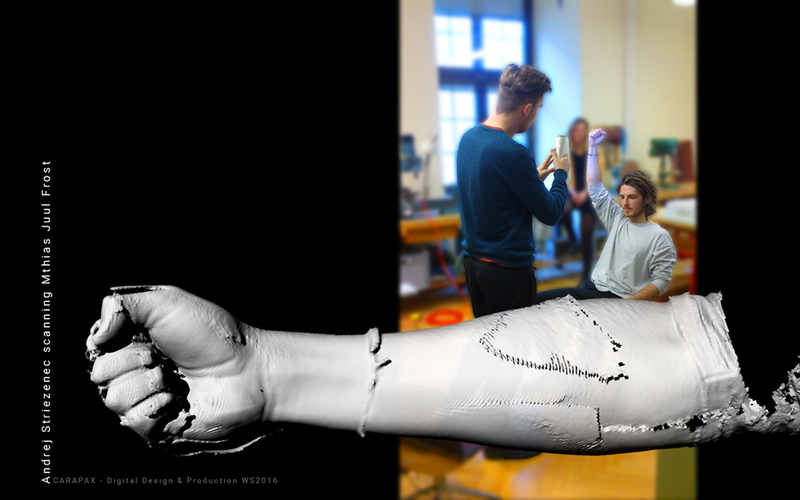 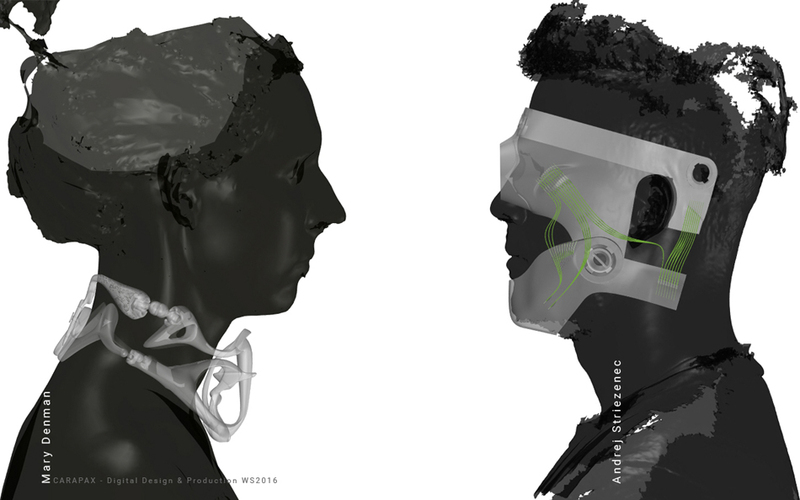 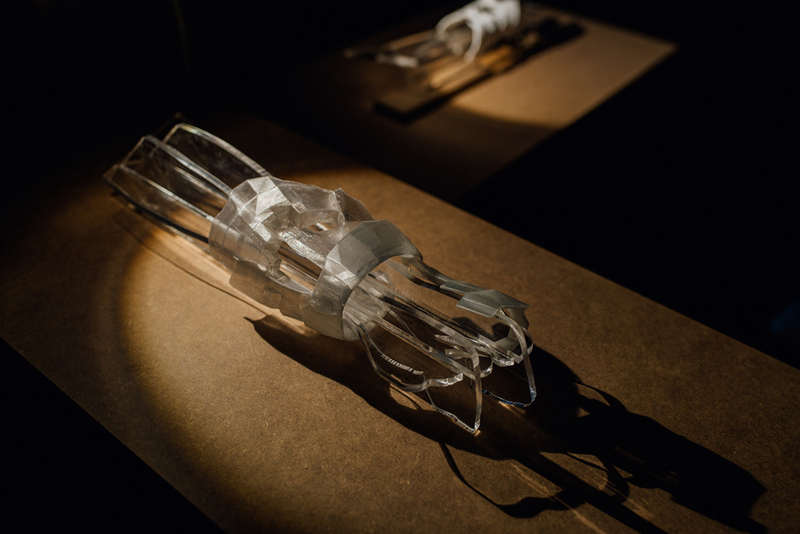 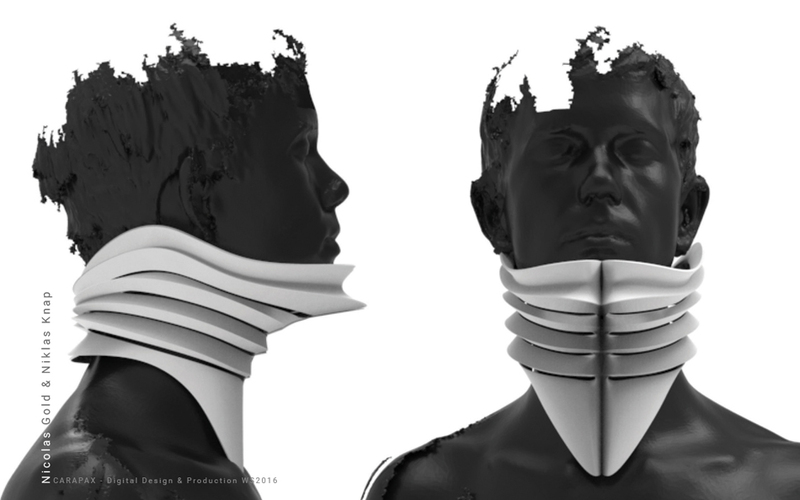 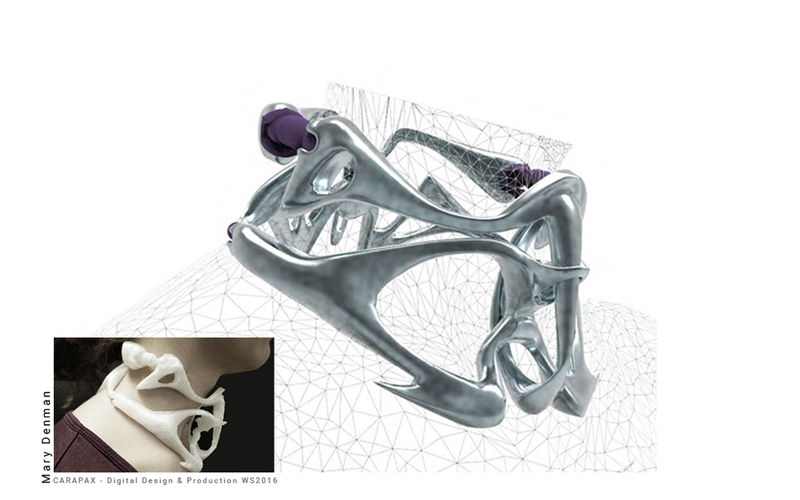 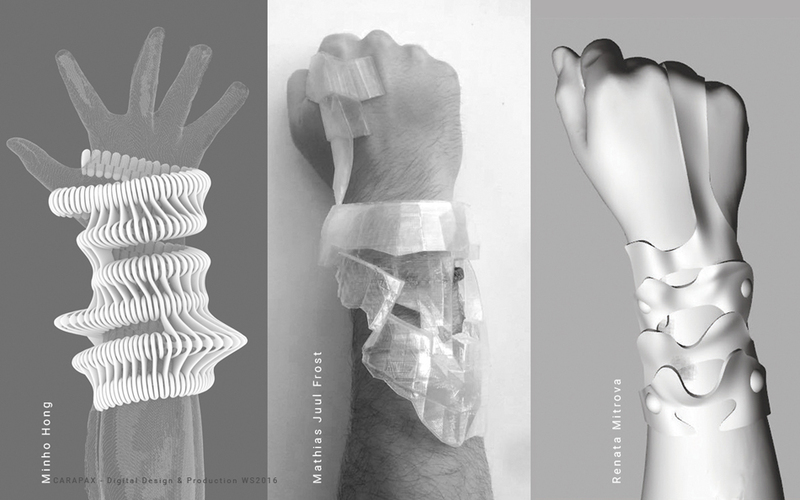 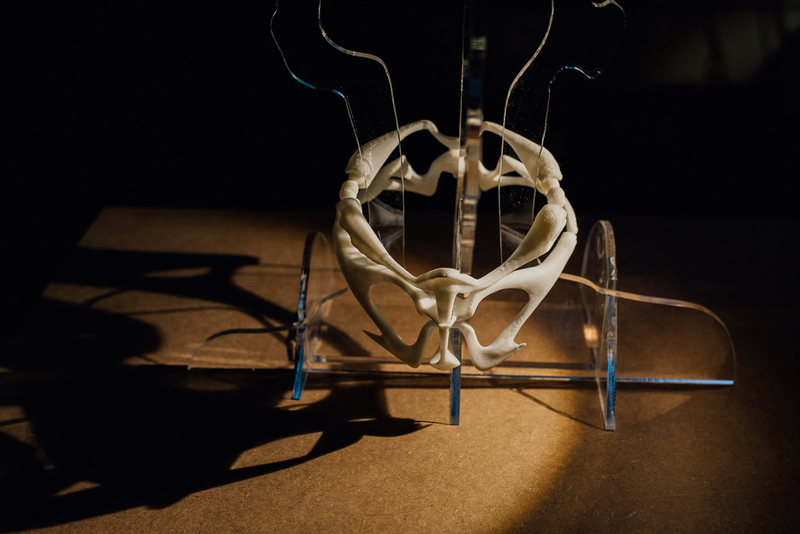 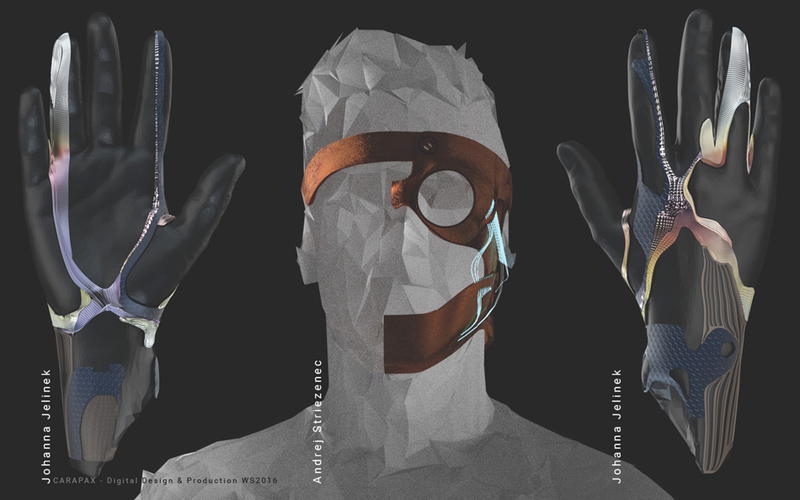 Based on a 3D-Scan of one of their own body parts, students had to develop a second customized skin that adds to their body without limiting movement and function. 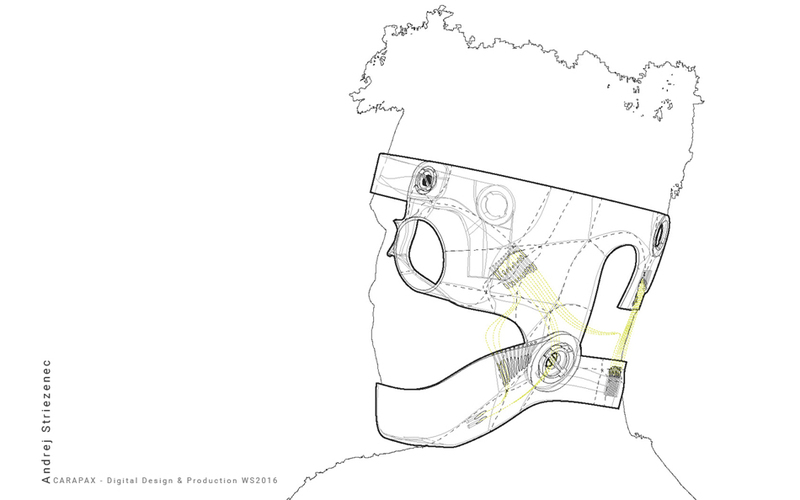 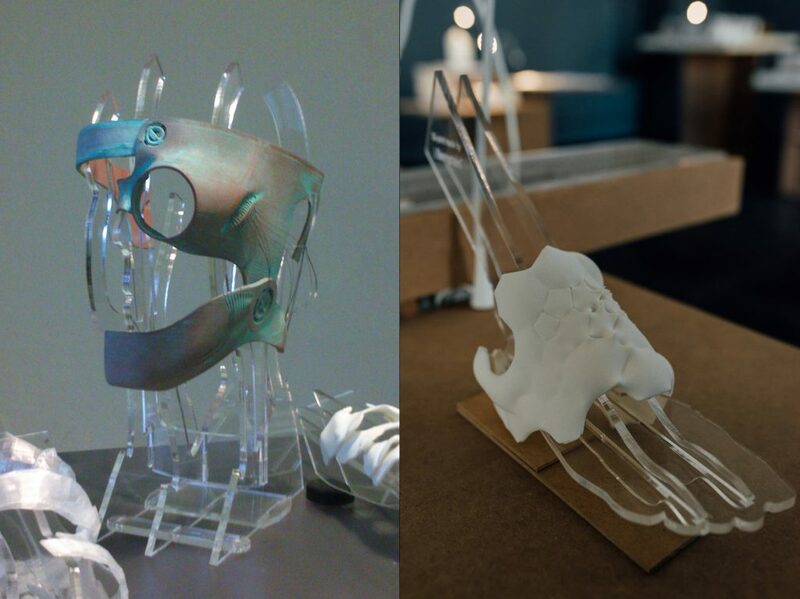 some of the students visualizations in the following and pictures of the prototypes further down. 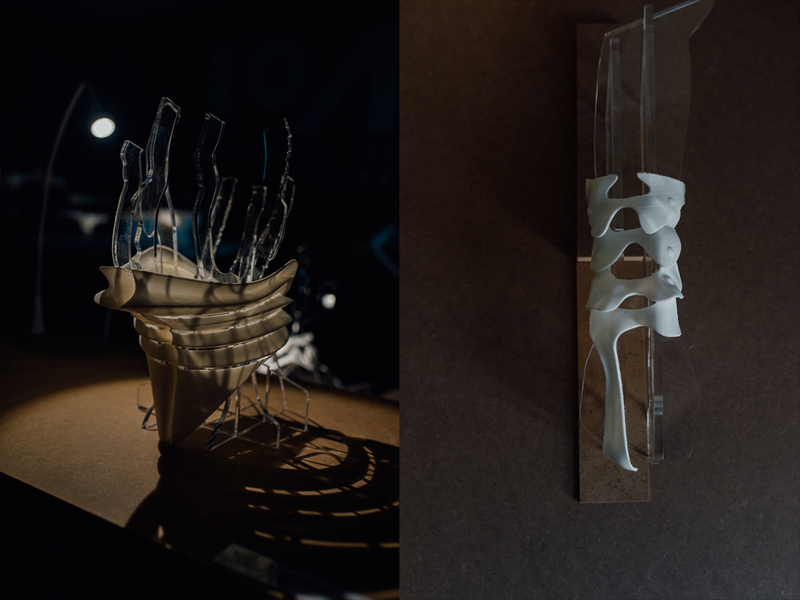 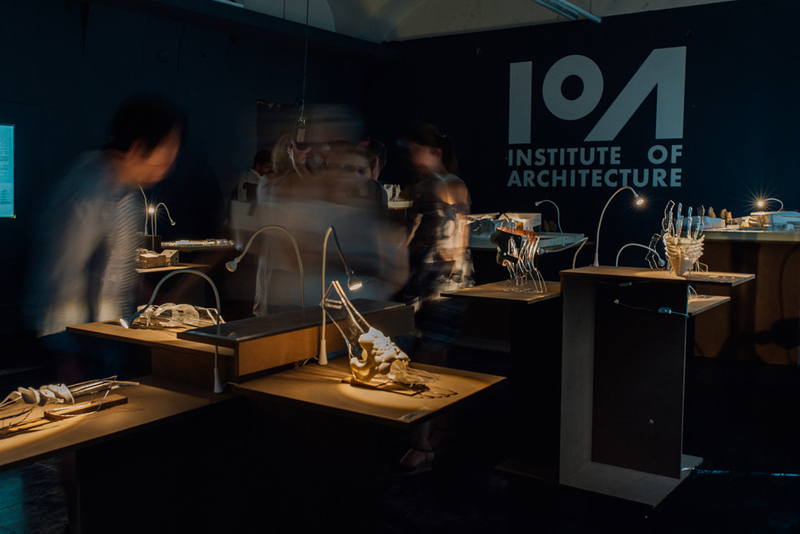 May 28, 2018 | Filed under COURSES, PRODUCTION and tagged with 3D Printer, cnc, FDM, semester task.